Anthony de Angelis (Vox), Sammy Lasagni (Guitar), Mitch Koontz (Bass) and Peter Gander (Drums) had already gained a reputation as a fabulous liveband in Switzerland when in 2001 they recorded their first 3-track-demo on their own under the name of GODIVA and performed at a lot of festivals during the following year. 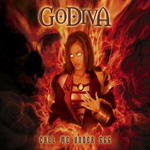 The first record of the Swiss with its simple title "GODIVA" was recorded at the House of Music Studio in Winterbach with successful producers Tom Naumann and Achim Köhler at the knobs. Shortly after finishing the debut album, GODIVA recruited first-class guitar player Moses B. Fernandez and started opening for bands like Freedom Call, Shakra, Primal Fear and Dokken. 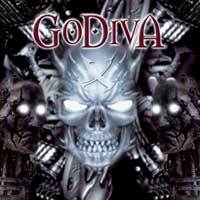 Due to the high quality of the band, GODIVA were able to place themselves at the helm of the Swiss Metal scene, and only one year after their start, they headlined the Swiss Metal Attack 2002 at the Z7 in Pratteln. When vocalist Anthony de Angelis left the band during the recordings of the second album the boys were able to hire no less than ex-Victory shouter Fernando Garcia as their new singer. Being still extremely young in the late 80’s and early 90’s, Fernando was then considered, together with Sebastian Bach, one of the big vocal talents of the Metal scene, and had worldwide success with Victory (from Hannover ). The new front man´s great, distinctive voice and years of routine provided the band with an additional spark of originality and freshness. Their hard modern riffing by the guitarists Sammy Lasagni and Moses B. Fernandez, relentlessly driving groove by the rhythm-section Mitch Koontz and Peter Gander and Fernando´s years of live experience as well as his charismatic appearance on stage helped GODIVA to enter the top ranking of Heavy Metal live acts.